* Available in sizes 8, 9, 10, 11 (UK sizes P, R, T, V). * Color: Black, Finish: Polished. 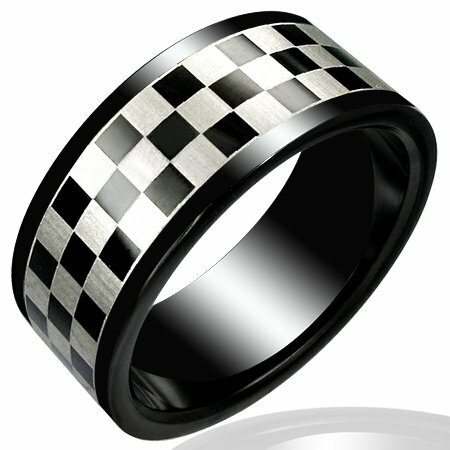 * Checker/Grid design around the ring.